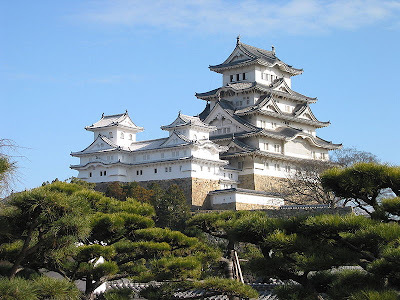 The Himeji Castle lies on a hilltop in Kansai region of Japan, 50 kilometres west of Kobe. It was originates back to a fortress that was built there in 1333 AD. The fortress was removed to make space for the Himeyama Castle in 1346 AD. The Himeyama Castle was remodeled into the Himeji Castle during the 16th century. Since then it has been expanded several times. The castle is supposed to resemble a white bird taking flight. Because of this it is also known as the White Egret Castle or White Heron Castle. It is the largest castle in Japan, and is added to the UNESCO World Heritage List. It is also the most visited Japanese castle. The castle is currently undergoing major renovation works in order to preserve the building. Admission to the castle is expected to be limited at a varied degree until 2015. On August 6, 1945, Hiroshima was the first city in the world to feel the full wrath of a nuclear bomb attack, killing somewhere between 90 000 and 160 000 people in a single day. The once busy square of the city where the bomb impacted was completely flattened. On the field left behind by the explosion, a park was created, in memory of the direct and indirect victims of the bomb, and the horrible effects it had. 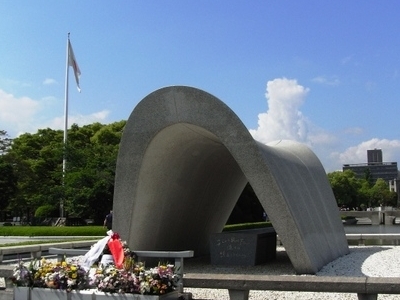 The park is dedicated to promote world peace, Every August 6, a Peace Memorial Ceremony is held in the park. The park is open all year round, and also has a number of other permanent memorials. Close to the center of the park is a cenotaph with the name of all the people killed by the bomb with a common epitaph 'please rest in peace, for [we/they] shall not repeat the error'. In a grass-covered knoll, known as Atomic Bomb Memorial Mound, the ashes of 70 000 unidentified victims are contained. Apart from all the monuments there are also some museums in the park, dedicated to educate visitors about the bomb and remember and mourn the victims. 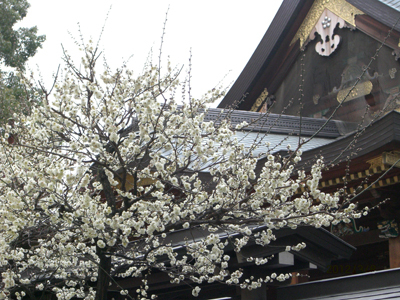 The shrine of Yushima Tenmangu is located in the ward of Bunkio, next to the University of Tokyo. It was built in 458 AD to worship Ameno-tajikaraono-mikoto, the kami of strength and sports. It was expanded in 1355 AD to include the kami Tenjin, the kami of learning. Both kamis are enshrined, but it is probably best known for the latter. It has an extensive grove of plum trees, that blossoms in February or early March. As the plum trees bloom the festival Ume Matsuri is held every year. It is a spectacular sight and well worth visiting. During April students visit the shrine leaving emas, small wooden plates where they write their prayers, hopefully to pass their exams.